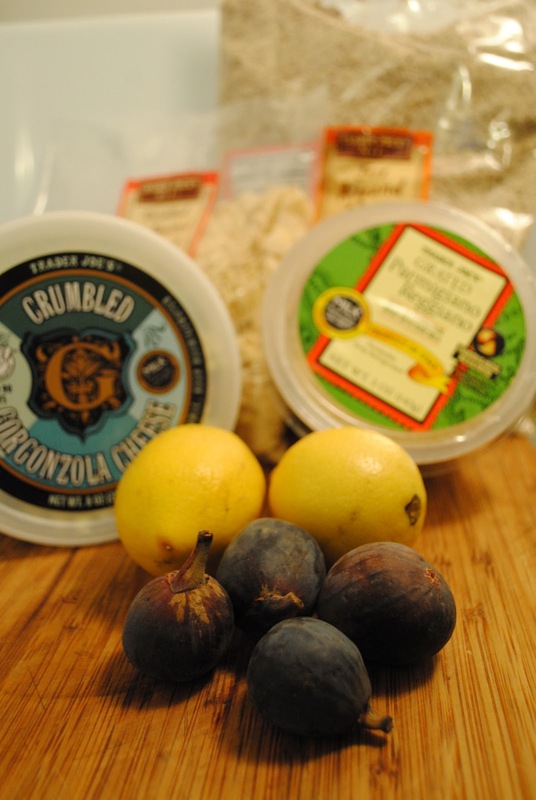 This week's challenge for the Food Matters Project was chosen by Jess of Cheese Please. 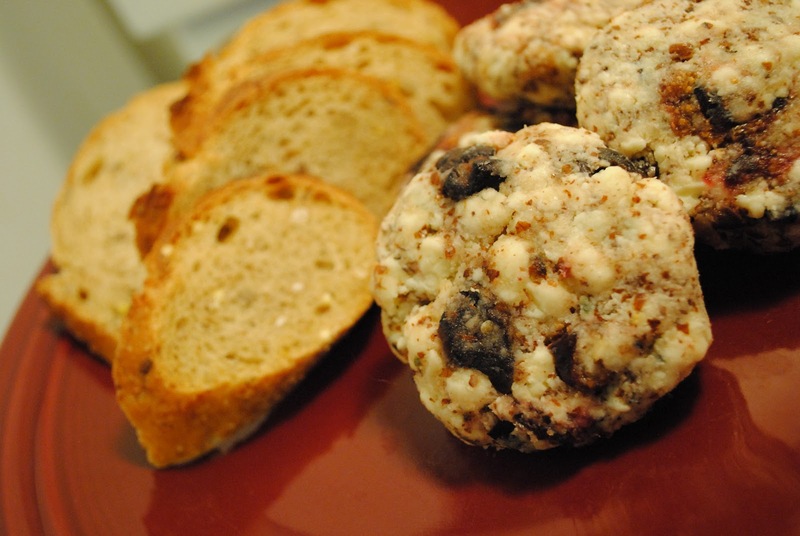 Naturally, caseophile that she is, she picked a cheesy recipe, Bittman's Cheese-Nut Balls. Here's her post: Cheddar Cheese and Almond Nut Ball. 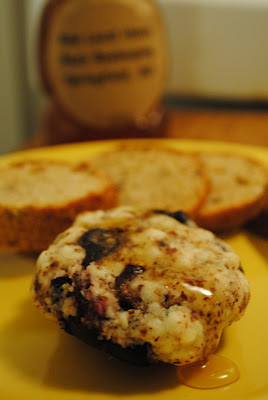 Bittman writes that "cheese balls take well to additions, like olives, fresh chiles, cranberries, dried fruit...." Done. While I opted to stick with his parmesan and gorgonzola combination, I added roasted figs for some extra flavor. 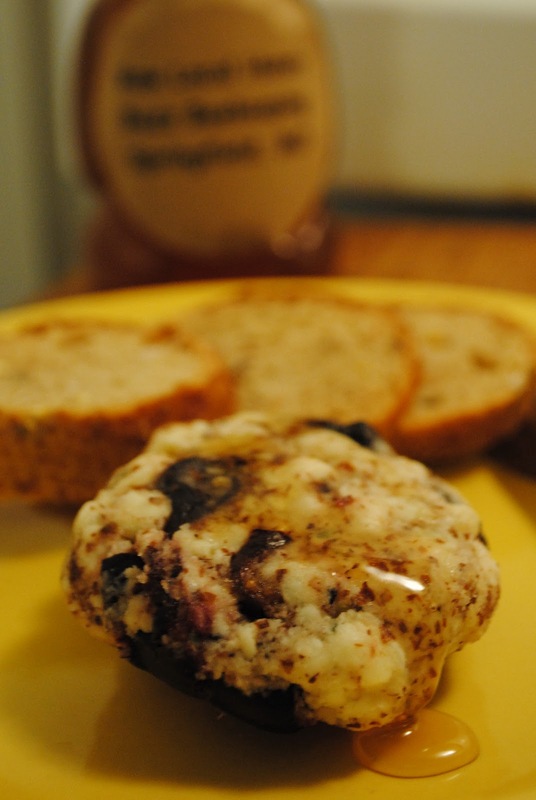 Then I drizzled the ball with some raw, local honey and served it all with some multi-grain baguette slices. It was the perfect start to our Sunday feast. Destem and halve your figs. Lay them on a baking stone and sprinkle them with some organic granulated sugar. 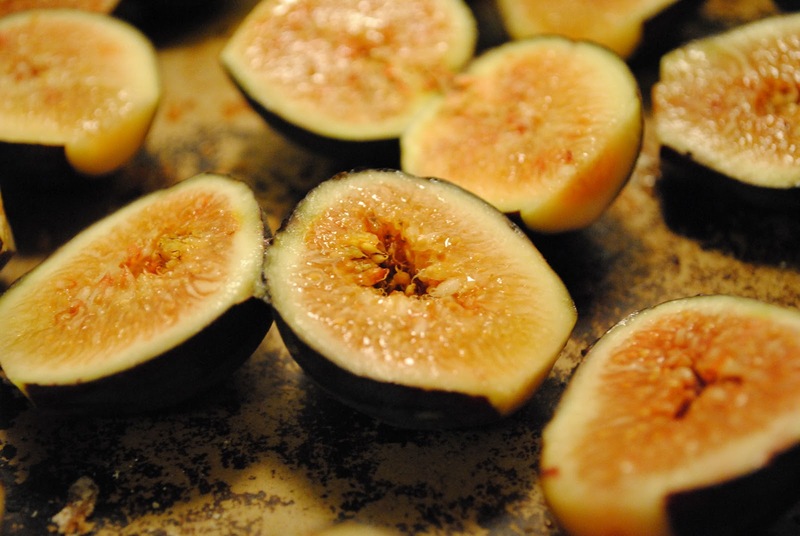 Bake in a 350 degree oven until the figs are softened and caramelized. Let cool. I don't have a food processor, so I just mashed everything together in a mixing bowl. Then I shaped the mixture into 4 small discs and refrigerated them to firm. 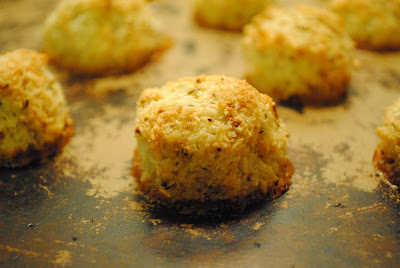 As I mentioned above, I served these with a drizzle of raw honey and some multi-grain baguette slices. 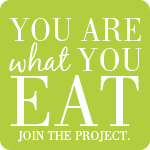 And click here to see what all the other Food Matters Project bloggers made...and look in the comments section. Yesterday we were at one of our favorite breakfast spots and Jake ordered a slice of crumb cake. He's never done that before. We usually gravitate towards the heartier fare - eggs benedict, omelettes, or pancakes. He took one bite and left the rest of it; he complained that it was okay, but nothing spectacular. I told him he was a food snob. And he told me that was my fault. Fine. The boys happily polished it off for him. 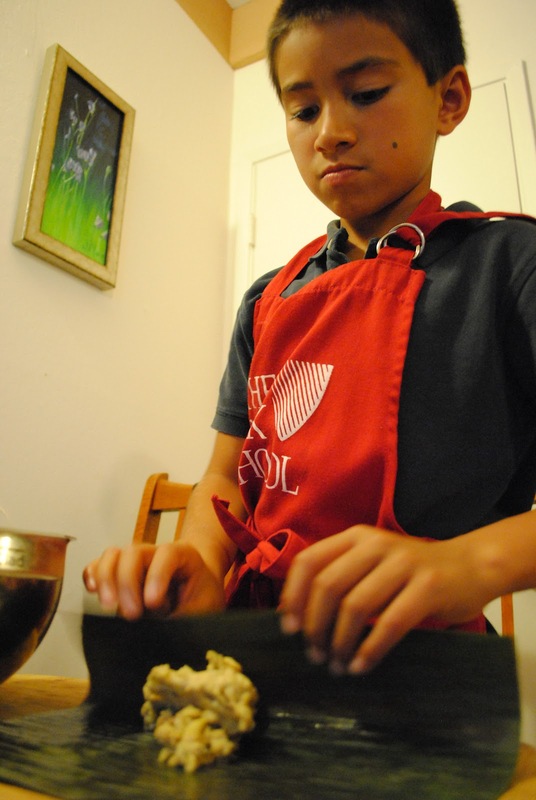 But, all three of them levied this challenge: you can make a better crumb cake, can't you? Well, I'll give it a shot. 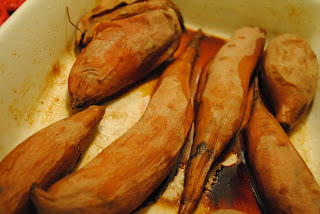 This morning I had some leftover roasted sweet potatoes. 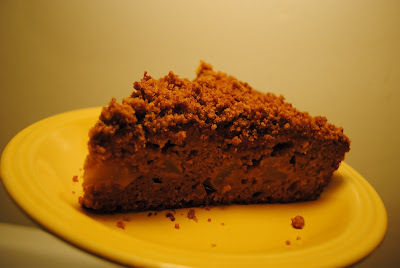 So, I decided to make a spiced sweet potato cake with a crumb topping. I added a layer of spiced apples in the middle...for added autumn flavor. 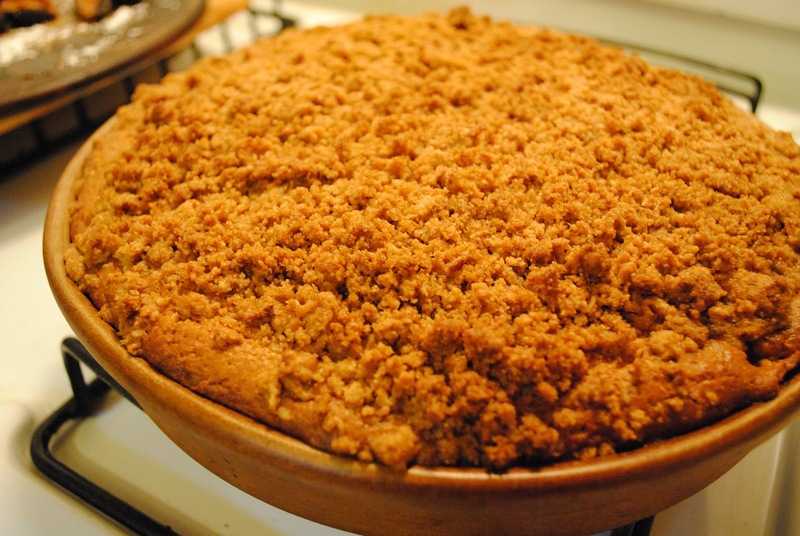 Oh, and a quick note on the name - crumble versus crumb. That's an homage to Riley-ball. The boy is one of the messiest eaters ever. Dylan calls him "Mr. Crumble-Crumble." Funny story: when Pia and I went on the Carmel Food Tour (read my Edible Monterey Bay piece about food tours here), we left all the boys with food and their bows and arrows. Brian and Jake fed the boys, but didn't clean up after lunch. Pia was wiping the table and sweeping underneath it and made the (faulty) observation, "this is where Dylan sat, isn't it?" Nope, that was Riley's seat. Hence the nickname. Mr. Crumble-Crumble. Poor Dylan was unjustly accused! 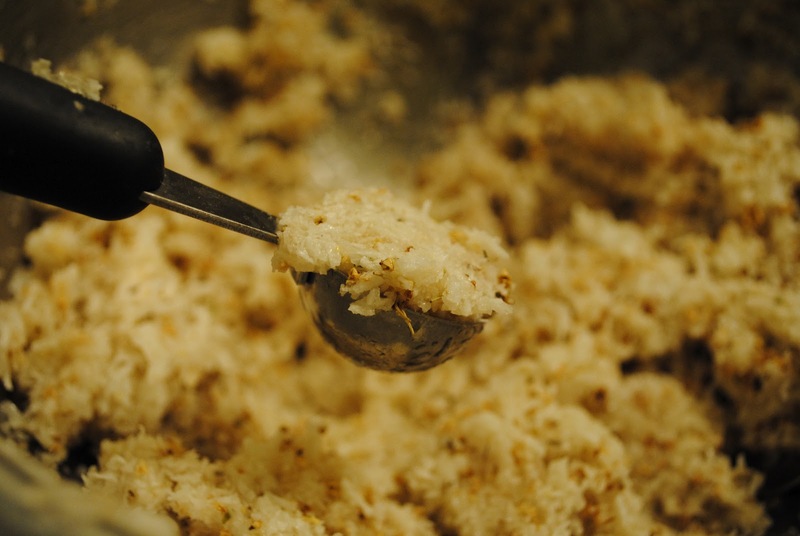 Topping - blend together in a bowl to form a "crumb"
Preheat oven to 350 degrees. Mix all of the cake ingredients together in a mixing bowl until all the dry ingredients have been moistened. 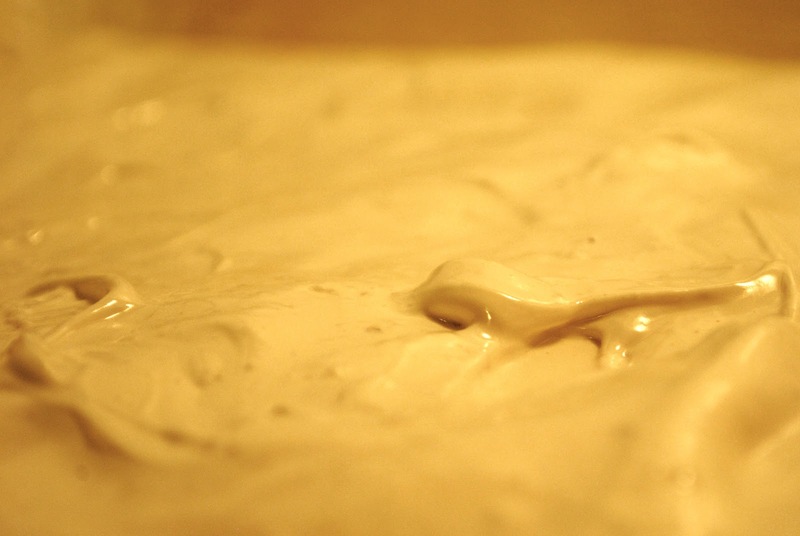 Pour half of the batter into a buttered baking dish. 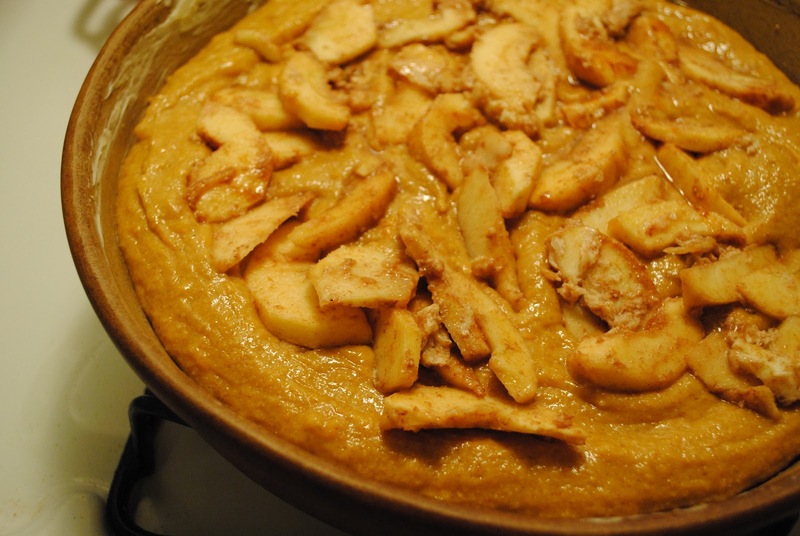 Spread the filling over the batter, then spoon the rest of the batter over the apples. Sprinkle the crumb topping over the whole thing. Bake until a toothpick inserted in the center comes out clean, approximately one hour. It's that time of the month: the time when the Foodie PenPals from around the country singlehandedly keep the US Postal Service in business. As much as I love the immediacy of email, I love getting mail. And I especially love getting packages! 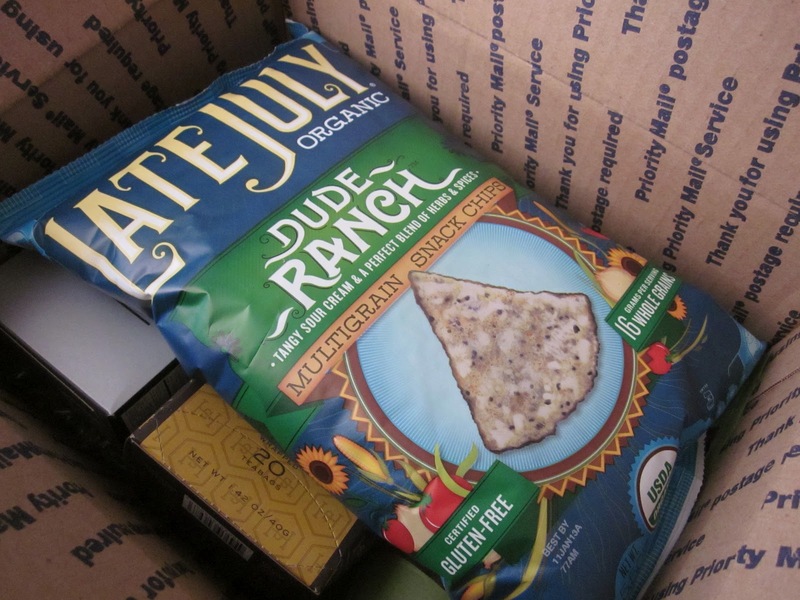 Click here to see what goodies went flying around the country with the PenPals this month. 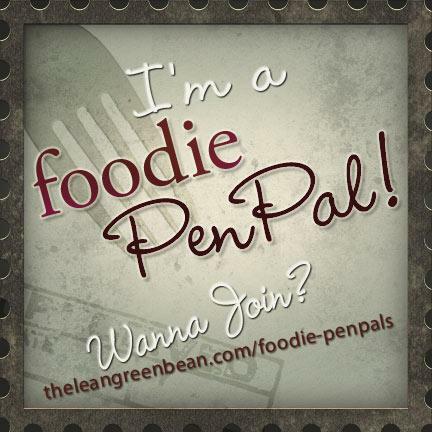 Cherie of Cherie Runs This, my penpal for the month, emailed: I just checked out your blog and see that you're quite the foodie! Do you have any special dietary needs/preferences? Any particular likes or dislikes? 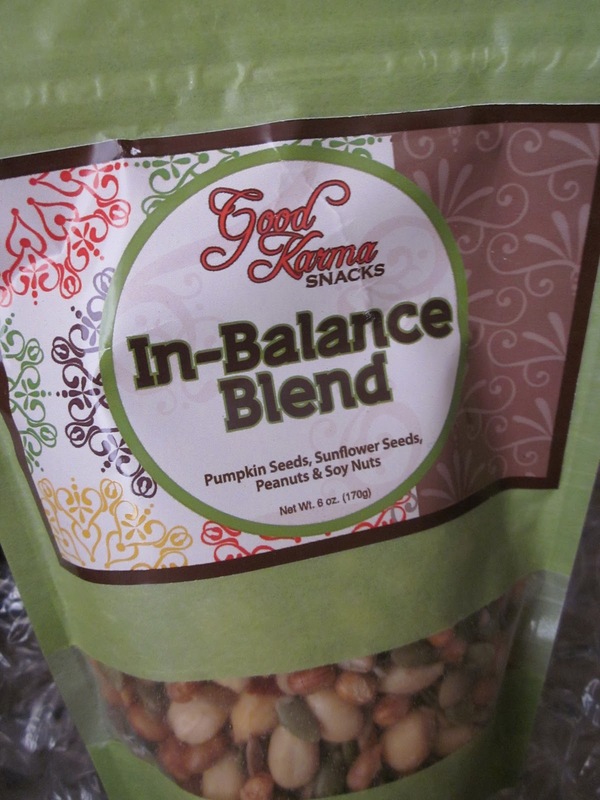 Would you prefer healthy snacks or treats? I replied that I am allergic to fava beans and oysters, prefer savory to sweet, and gravitate towards healthy snacks versus treats. That was all I wrote. And when I opened my box, I was delighted...and got quite a chuckle. Besides a lovely note, the first thing I saw was oysters. 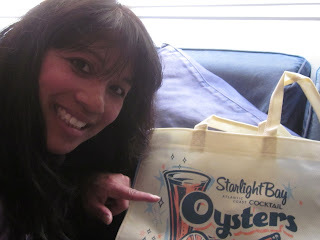 Well, it was a reusable bag with the word 'oysters' written on it. So adorable that she sent me oysters. But oysters that wouldn't make me break out in hives and have the worst stomach cramps ever. Funny. I love a gal with a sense of humor. Next up: a box of black tea blended with cardamom. Could she possibly have known that that is one of my favorite spices ever? 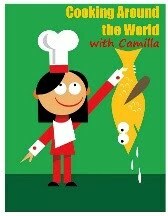 Well, I do have more than a few recipes on my blog that use cardamom. Cardamom-Scented Cream Shortcakes with Blackberries. Honey-Cardamom Broiled Grapefruit. Dreikonigskuchen, a German Epiphany bread. Or Truffles made with Date Liqueur and Cardamom. 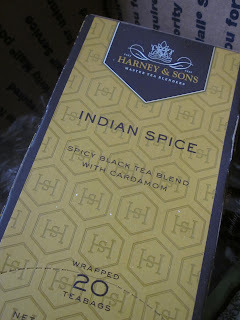 I might be just a little bit cardamom-obsessed. So, this was a perfect pick. 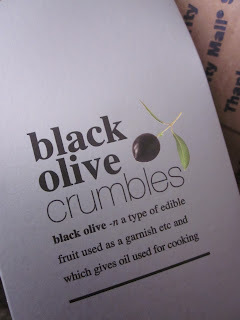 I love olives even more than I love to cook with cardamom. Green olives, black olives, purple olives. Olive oil. Olive paste. I've even made olive pies from Cyrus. But I have never had an olive crumble. 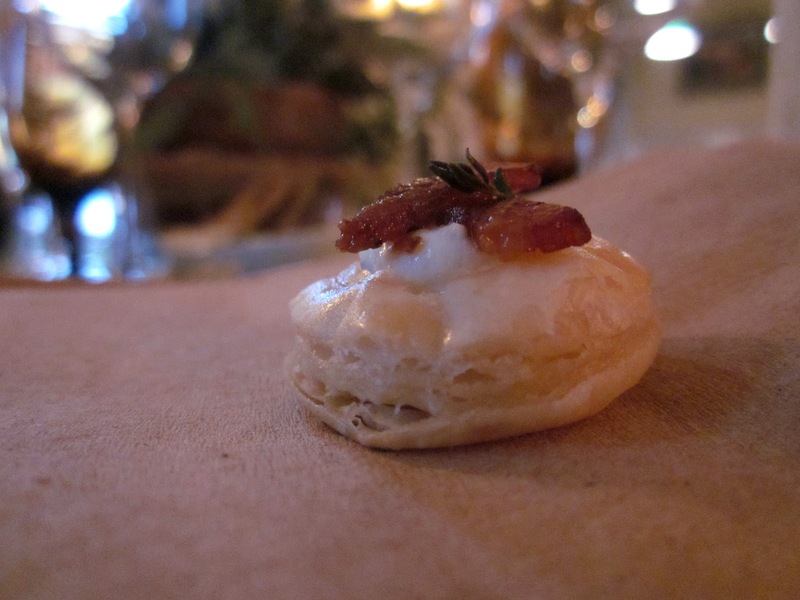 These were like savory cookies. Not a cracker, but a cookie. Crackers are flat and dense. These were airy and crisp. Wow. I have to figure out where I can get my hands on more of these. Talk about a savory delight. These didn't make it past dinner. I gave the boys a handful of these to crumble into their minestrone soup. They had seen the bunch of kale sticking out of my High Ground Organics CSA box and begged to have soup with kale in it for dinner. And in their thermoses for lunch the following day. You don't argue with kids who are clamboring for kale! That's one of my rules. 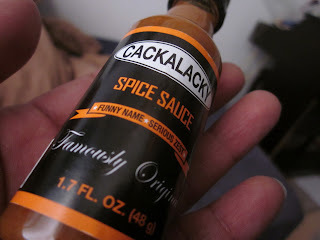 And another funny gift was the small bottle of Cackalacky Spice Sauce. "Funny name. Serious zest." Too true. I stirred a few dashes of that into our soup. It has a totally unique flavor. Yummy. Cherie, thank you so much! What a fun box of goodies. 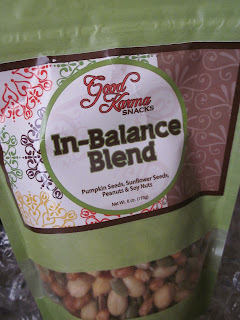 I appreciate all your efforts and with your good karma, I'm positive that your Foodie PenPals box was as fantastic as mine was. And because the gal to whom I sent a package this month isn't a blogger, I thought I'd share a quick note from her: "Oh. My. Word. I just opened my package and it was epic. I shall have a proper thank you coming your way but had to let you know it arrived and was much loved." Hooray! 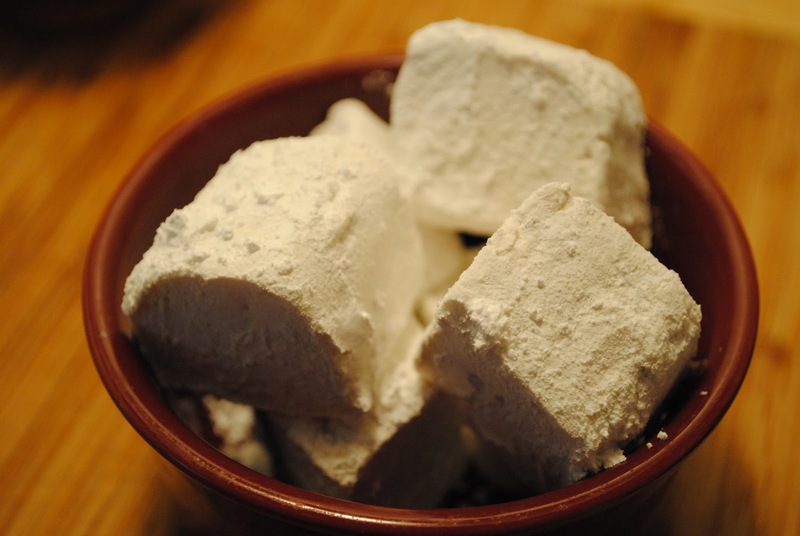 Okay, these are totally gratuitous, but I love them: elderflower marshmallows. Light, fluffy, airy, sweet, and elderflower-laden! It's the perfect end to my first Edible Flower Friday. 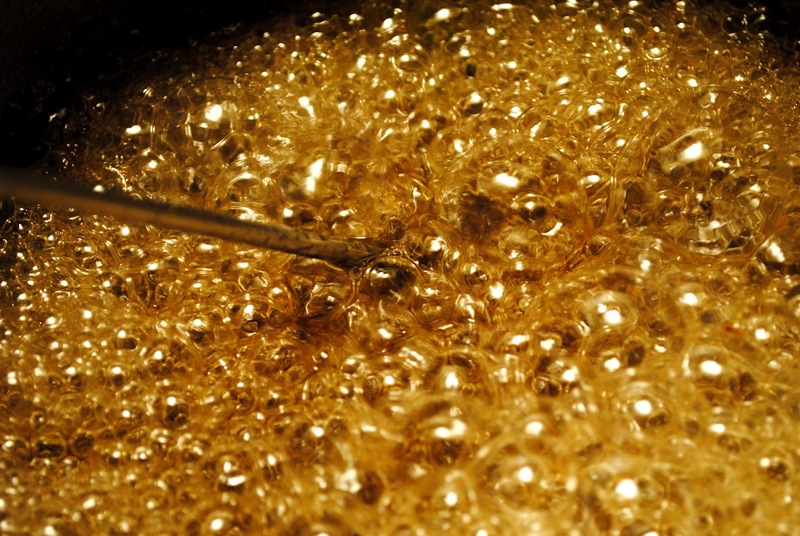 Prepare a 9×13 inch pan by oiling it with canola oil or butter. Dust powdered sugar over the oiled sides of the pan. 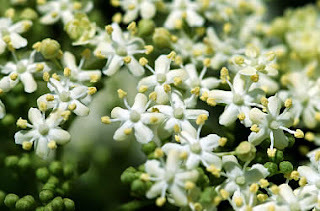 It's Edible Flower Friday and I am cooking with the blossom of the month: the elderflower. First I made some elderflower simple syrup. Now, I'm using that in a batch of elderflower mini macaroons, inspired by the Young Austinian's recipe. What a find! Too bad I can't follow a recipe to save my life. How did I read '4 C coconut' as '2 C coconut'?!? And I flipped the amounts of syrup and blossoms. Whoops. I just baked them for longer. So, below is what I actually did. Click on the link above to see what I supposed to do. I also do not have a food processor, so these have larger strands of coconut. They were still a hit! 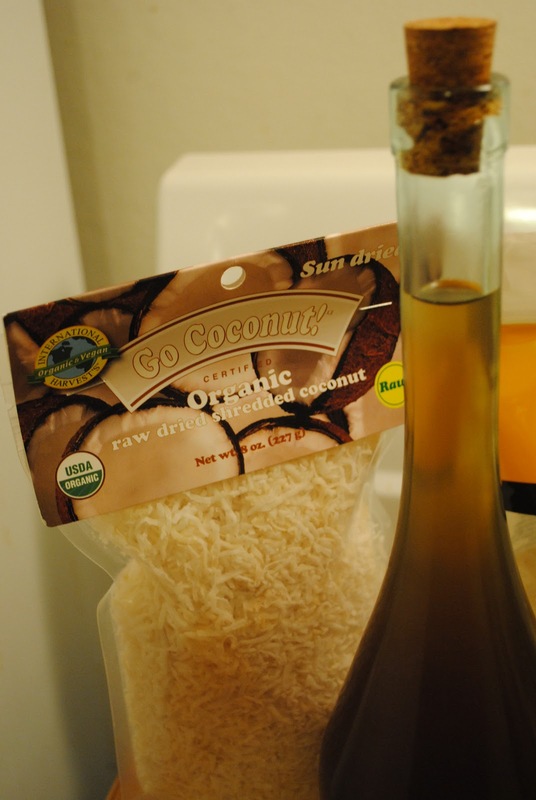 In a large mixing bowl, blend all of the ingredients until everything is completely moistened. Preheat the oven to 325 degrees. 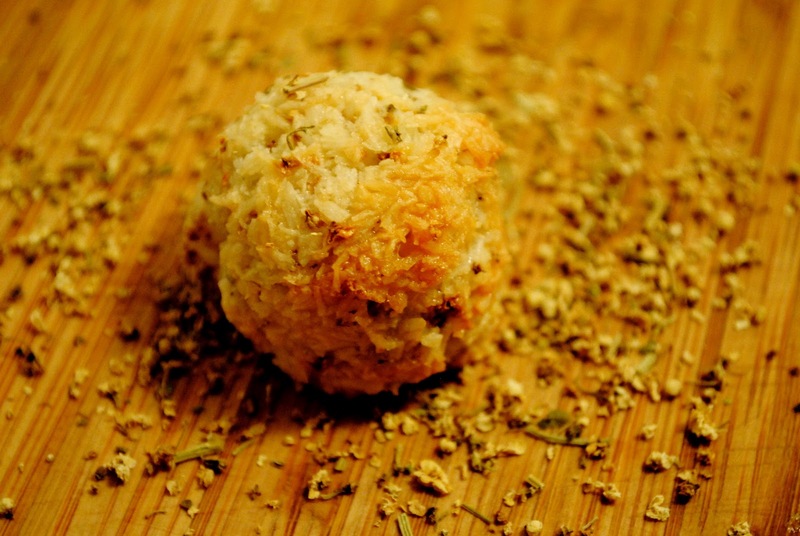 Using a melon baller, scoop portions of the coconut mixture and form uniform balls with your hands or just plop the scoops on a baking stone. Your choice! The coconut will not spread, so you can place the balls fairly close together. Bake until the macaroons are lightly toasted and golden on top. I baked mine for 30 minutes. I served these with a cup of espresso. Delicious! And that's a wrap on my inaugural Edible Flower Friday. Now I just need to figure out what bloom I'm highlighting next month. For my inaugural Edible Flower Friday, I picked the elderflower. 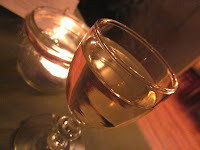 So, my elderflower culinary adventures begin with an elderflower simple syrup...and it is so simple. 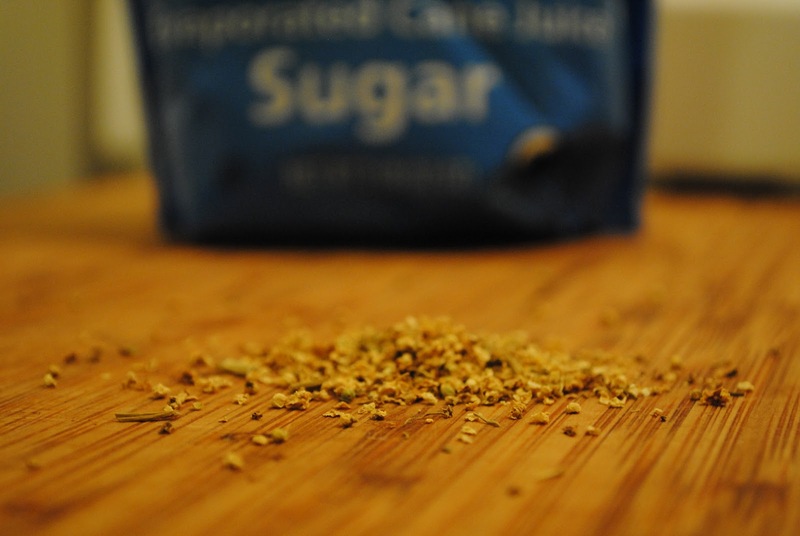 It only has three ingredients: water, sugar, and dried elderflowers. Simple. In a medium sauce pan, place all of the ingredients. 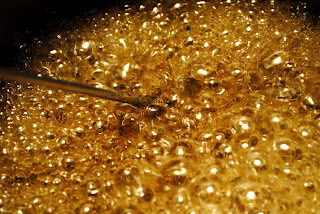 Bring to a boil, stirring until the sugar has completely dissolved. 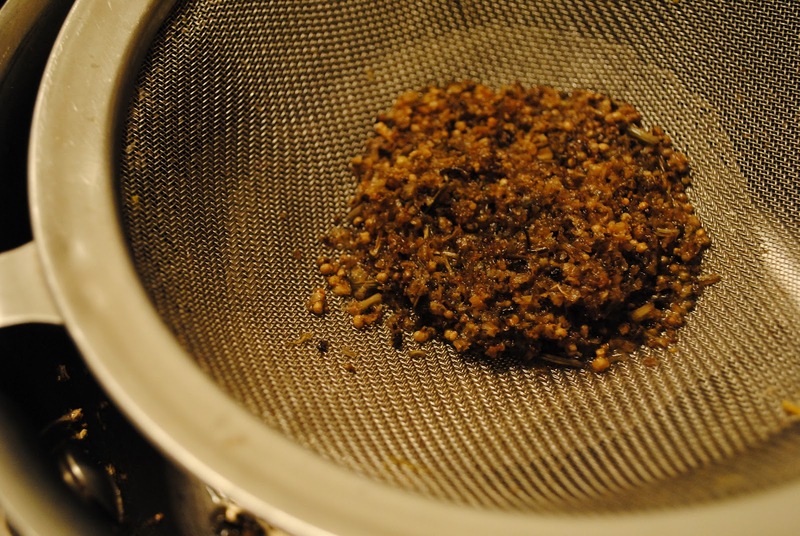 Let the mixture steep for 10 minutes. 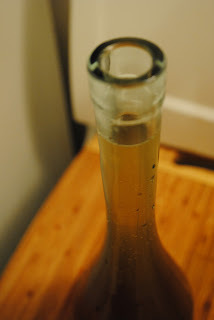 Allow to cool, strain out the blossoms, and bottle. I'm excited to use this in some elderflower marshmallows and some elderflower macaroons. Are you ready to cook with these blooms? Let me know what you make. 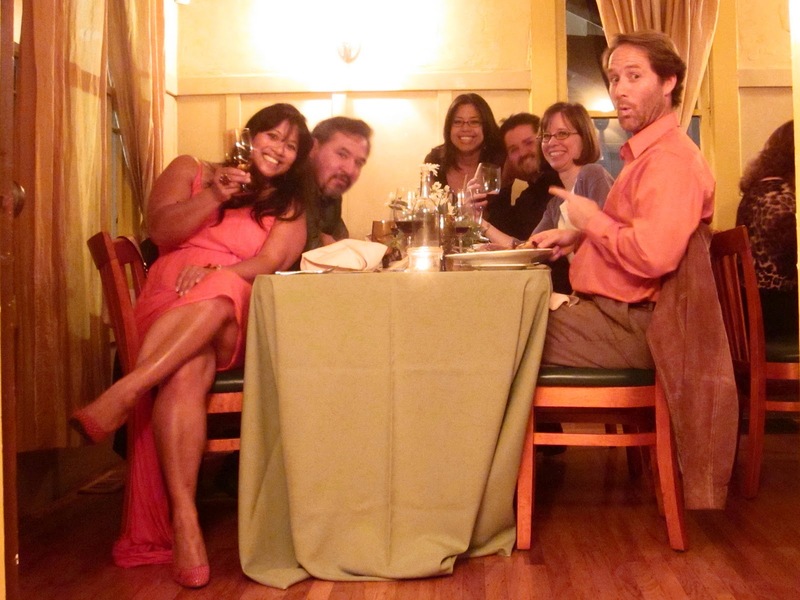 Happy Birthday, Edible Monterey Bay! Guess who's turning one?!? Edible Monterey Bay that's who. And, in typical Edible-style, they are celebrating with a lavish Farm-to-Table Wine Dinner at Live Earth Farm on Saturday, October 13th. Click here to read the event preview. The anniversary party takes place at Live Earth Farm, a small family farm nestled in the foothills of the Santa Cruz Mountains near Watsonville, and kicks off with a tour by Tom Broz. 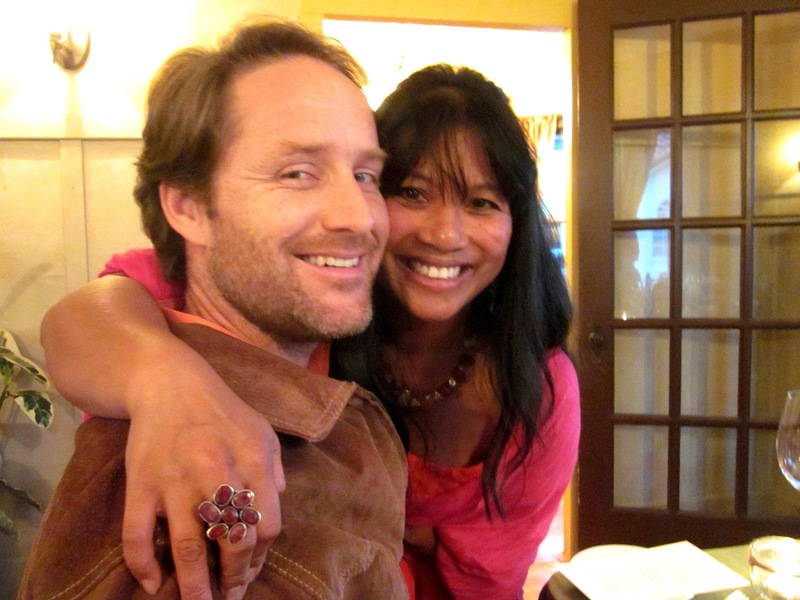 Tom and his family founded the farm that also houses the nonprofit Live Earth Discovery Program, a program that provides local school children with hands-on education about organic and sustainable food systems. 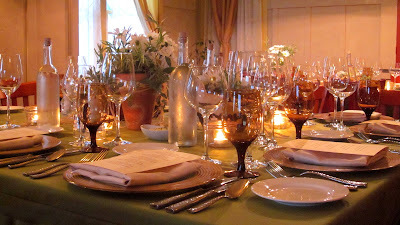 After the tour, guests will enjoy a reception featuring delicious local wines. I don't know the full line-up, but I do know that Heller Estate Organic Vineyards will be pouring. 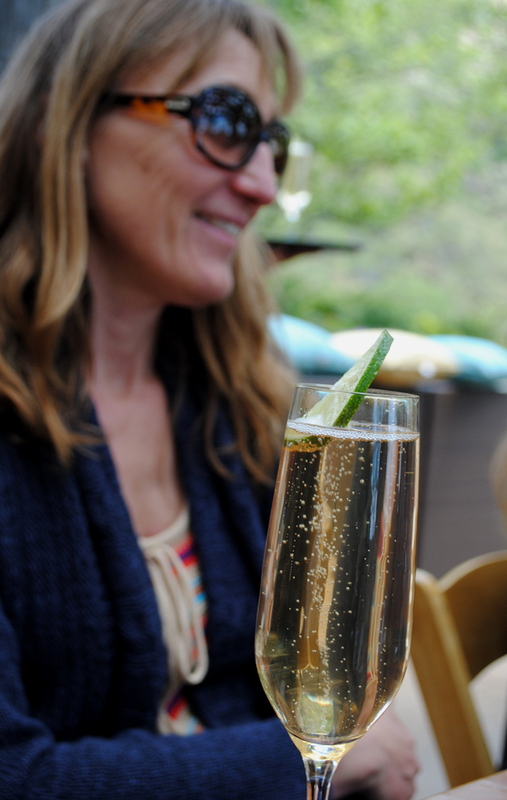 And for those who aren't imbibing, 3 of a Kind will be serving up their sparkling, seasonal libations. Brad Briske, who is currently running the charcuterie program at Casanova restaurant in Carmel, will be preparing an all-organic and local five-course dinner. I haven't seen the menu yet, but I can only imagine the deliciousness we'll be enjoying. Also involved in the dinner prep will be Food What? 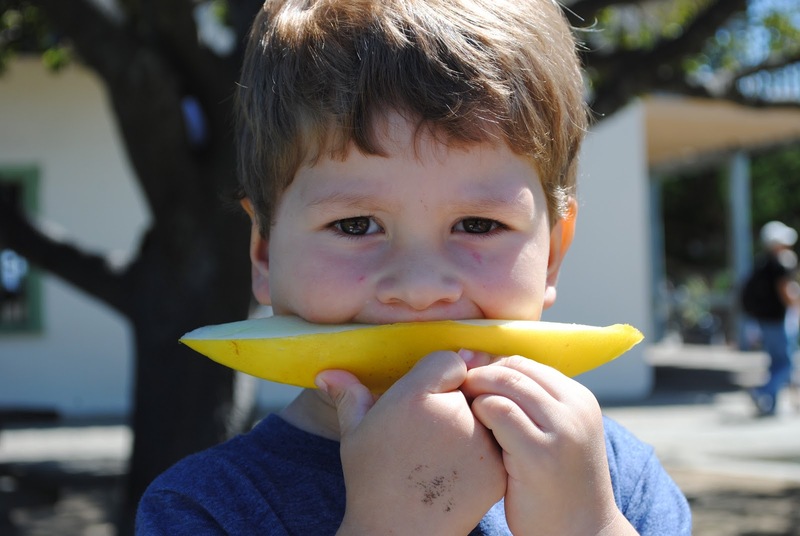 !, Lightfoot Industries, Pie Ranch and the Santa Cruz Regional Occupational Program. Lastly, the 2012 Local Heroes Awards will be presented followed by a kick off the vote for the 2013 Local Heroes. The $75 ticket price is all-inclusive, covering dinner, wines from local vineyards, tax and tip. 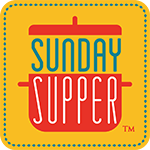 As seating is limited, Edible Monterey Bay encourages you to purchase your tickets soon. You don't want to miss out. Click here and scroll to the bottom of the post to buy tickets. 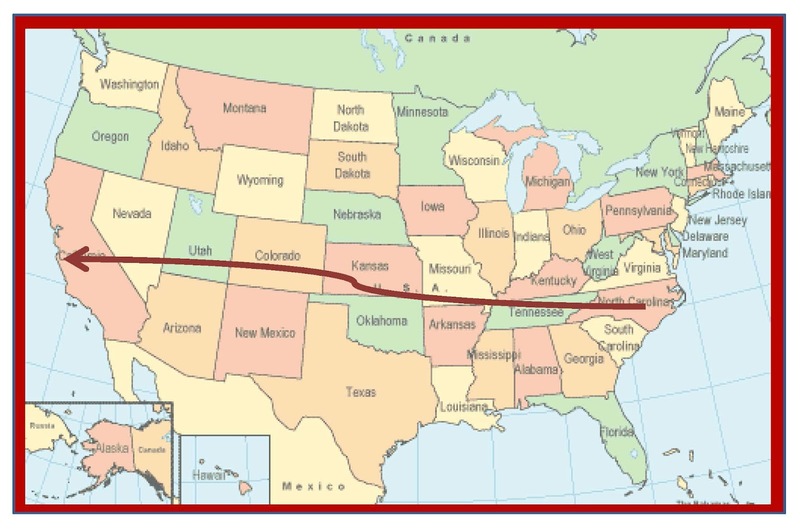 I just found out that I get to go cover it. So, I hope to see you there! Years ago I worked as a florist in the East Bay to help pay for incidentals in college. I was fortunate enough that my parents were willing and able to foot the bill for my tuition and my apartment during my five-year stay in Berkeley. But I needed to pay for my books and my groceries. So, I worked as a florist and in one of the computer labs on campus. After classes all day and dealing with the incessant complaint that "the computer isn't doing what I want it to do", playing with flowers - and getting paid for it - was a treat. Though I don't do much with flowers other than the occasional holiday arrangements and centerpieces for tables on teachers' appreciation day, I do cook with them. So, I decided that I would highlight one edible flower on the last Friday of each month. Maybe it will inspire you to get out and cook with some blooms, too. Most of the recipes that call for fresh elderflower hail from the United Kingdom or Scandinavia. So, I'm hazarding a guess that elderflowers don't grow here. I'll have to check that out. 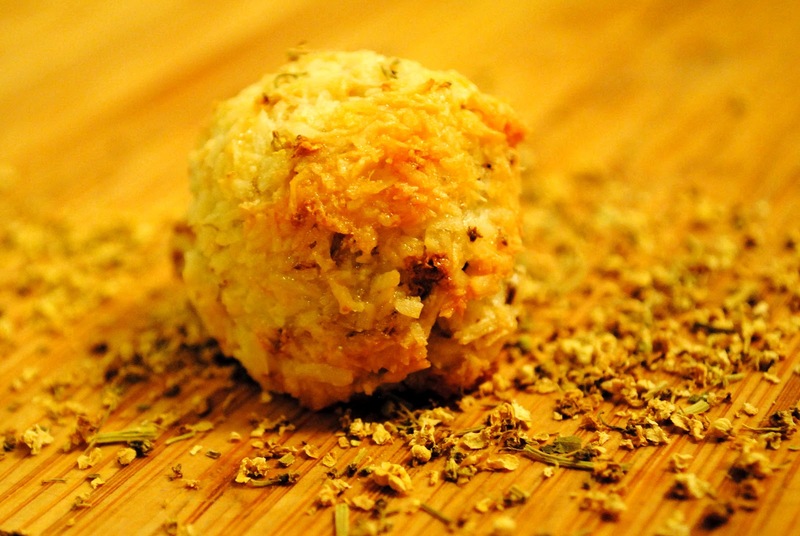 I did get a packet of dried elderflowers through the Monterey Bay Spice Company awhile back. It's time to get creative. We've had elderflower in juiceboxes...and elderflower liqueur in champagne cocktails. 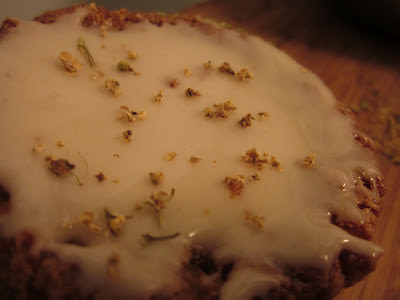 I've made mini elderflower cakes with bee pollen frosting. Check out Steve Parle's piece in The Telegraph about the elderflower. 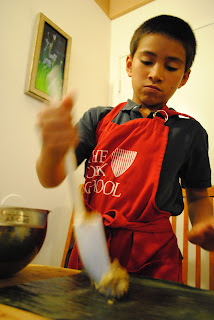 Maybe I'll whip up his elderflower pannacotta tonight for dessert. And though I am decidedly anti-frying - and these would almost certainly have to be done with fresh elderflowers - I love the look of his deep-fried elderflowers with sugar, salt, and fresh chilli [sic]. Then there's the (small) collection of recipes on BBC's website, but most of those begin with an elderflower cordial. Perhaps that's the starting point for me. Locally, Chef Jon of La Crème, just served a scoop of elderflower ice cream on our dessert plates during his delicious pop-up dinner. I'm thinking about making an elderflower simple syrup for marshmallows! Stay tuned... and if you cook with elderflowers, I'd love to hear what you do with them. Though I attended a concierge luncheon awhile back, chatted with Chef Jon, met Tamie, and wrote a preview about the event for Edible Monterey Bay, nothing prepared me for the heights to which La Crème would raise the bar for the Edible pop-up events. Calling it la Crème de la Crème is not an exaggeration. 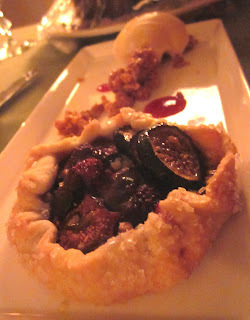 Last night's dinner at La Crème was beyond spectacular. As we stepped over the threshold, Anthony Pessagno - of Pessagno Winery - was offering flutes of sparkling wine while servers circulated with tantalizing bite-sized morsels. I didn't catch the name of what they were calling this, but it was flaky dough smeared with buttery, soft cheese topped with bacon and fresh herbs. So many textures and big flavors in such a small bite. We kicked off the feast with a pear and arugula salad paired with Pessagno's La Estancia Reisling. 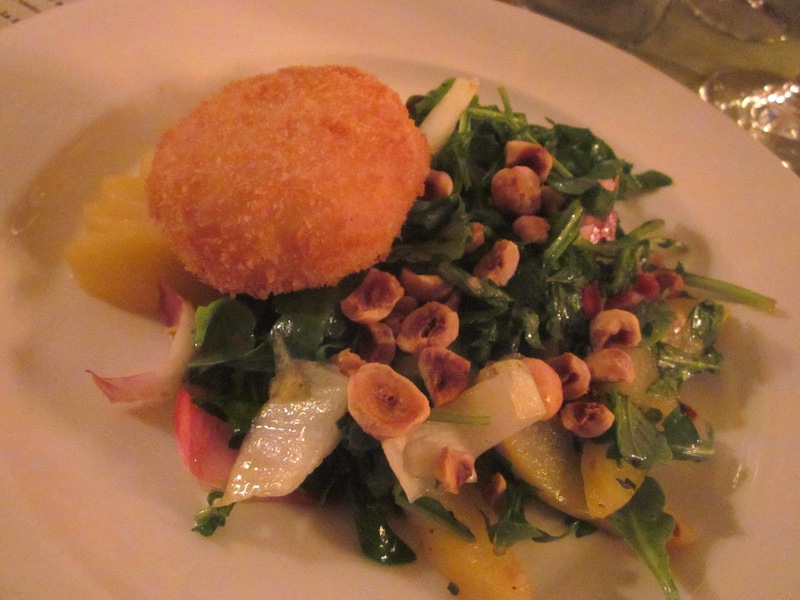 Warm goat cheese blanketed in bread crumbs sat atop poached pears and greens dressed with a Pedro Ximénez vinaigrette. Pedro Ximénez is a white grape varietal from the Canary Islands that is often used in Spanish sherry vinegars. A generous sprinkling of toasted hazelnuts launched this salad to out-of-this world status. When we had first gotten a glimpse of the menu, last week or so, we schemed about which entrees we were going to order, making sure that - between the three couples - we all would be able to taste each offering. There was no need for all those logic games - if Cam gets the duck and Jenn gets the white bass, then... - each diner received all three entrees. Oh my goodness! There was so much food. And it was all amazing. 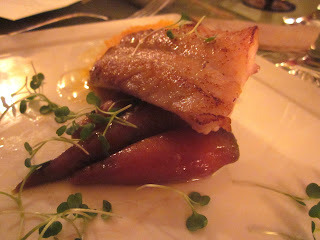 The first entree would have been Jake's pick: seared California white bass paired with Pessagno's La Estancia Chardonnay. And on the plate as well - winter squash puree, young carrots, micro-greens confetti, and bacon jam. That is not a mis-print. Bacon jam. Think salty + sweet + smoky. I wouldn't have a clue where to start if I were to try to replicate it. Next up was my pick, just from the menu description: grilled duck and fig sausage paired with Pessagno's La Estancia Pinot Noir. 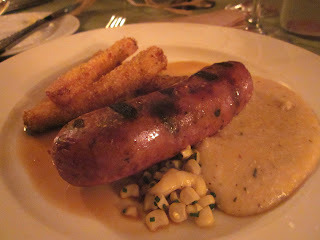 It was a corn-lover's delight with a creamy polenta, polenta sticks, and fresh corn. Though this would have been my pick - of the three entrees - I think it was my least favorite of the three. Still, it was dynamite. 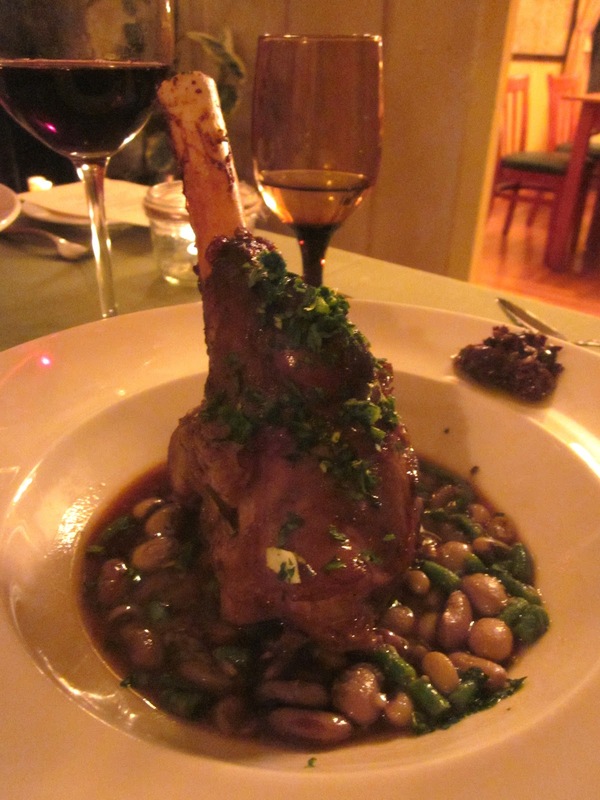 And the hit of the evening: braised lamb shanks paired with Pessagno's Idyll Times Vineyard Zinfandel. Chef Jon served this with some shelling beans, an olive relish, and a gremolata. Gremolata, a combination of chopped herbs and lemon peel, is the traditional companion to ossobucco, braised veal shanks. It was too bad we were all so full; none of us could give it a proper devouring. But - thankfully - Tamie wrapped up what we couldn't manage to eat and we are all enjoying these again today! We finished the evening with a fig and raspberry crostata, toasted almond crunch, and a scoop of elderflower ice cream paired with Pessagno's Late Harvest Orange Muscat. And - lest you think this adventure was all about the food and wine - the dinner was a smash because of the friends with whom we shared it. I love having people around me who feel the same way about food as I do. It's more fun that way. Click for more information about La Crème. 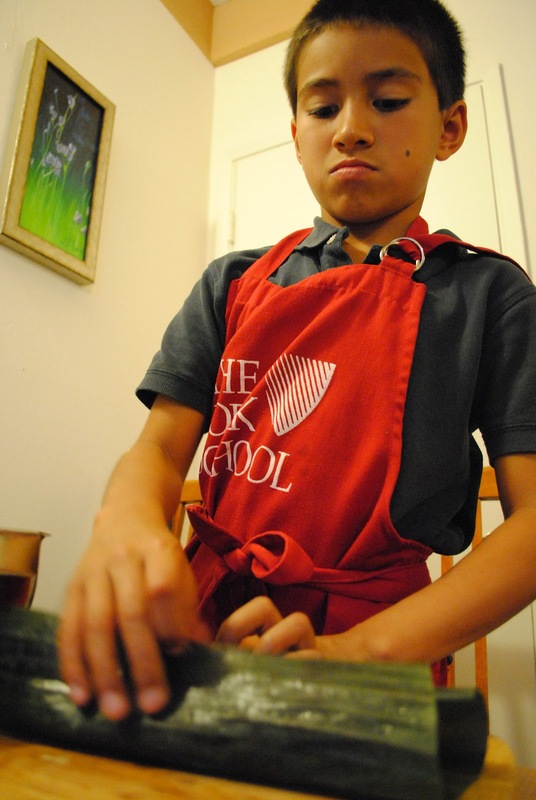 Check out Chef Jon's kitchen blog. Here's the website for Pessagno Winery. 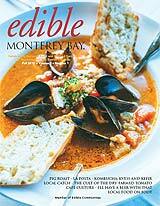 And last, by not least, visit Edible Monterey Bay. When my friend posted this on her Facebook wall, my culinary gears immediately started to spin. She wrote: "So, Auntie Cam, Gabe has a food challenge for you...Tonight in his bath he was making a concoction in a cup. He added broccoli and cucumbers and noodles...then an interesting combo of strawberries and Brussels sprouts...I told him I was going to ask you to come up with a strawberries and Brussels sprouts recipe for him. Any ideas?" Of course I have ideas! And I just wish I could give my intrepid lil' culinary genius a hug and a kiss tonight. Thanks for the inspiration, Gabe. As soon as I get my hands on a stalk of Brussels sprouts, I am making this! Brussels Sprouts, as all cruciferous vegetables do, get bitter and sulphury when they are overcooked. You can do this salad raw, but I prefer to blanch the leaves so they are a little bit more sweet. This is a little bit labor intensive, but it's something that little hands can easily do. Leaf the sprouts by pulling the larger leaves from the bud. Once it gets small enough you can just quarter the bud. Place these all in a large bowl or pan. Pour boiling water over the leaves and let them soak till they turn a bright, grassy green. It won't take very long. And definitely err on the side of too short versus too long. Remember that sulphur taste. Yuck. In the meantime, make an easy strawberry vinaigrette. Mash a few ripe strawberries in a glass, add a few drops of balsamic vinegar, then add in a drizzle of (good) olive oil. If it's too sour for little tastebuds, add a splash of honey or agave nectar. Toss the vinaigrette into the blanched leaves. Sprinkle with some dried cranberries and raw pistachios. Serve! 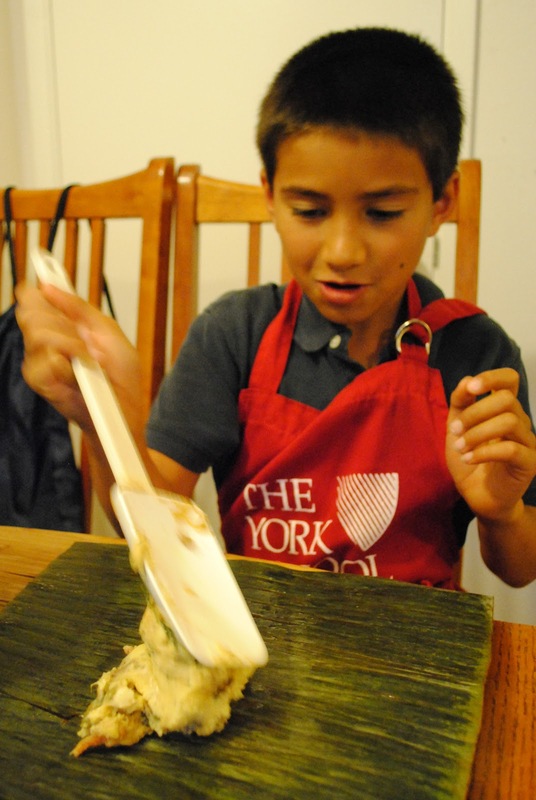 We are wrapping up the Hs of the world - in our Cooking Around the World adventure - with a simple Honduran dinner. 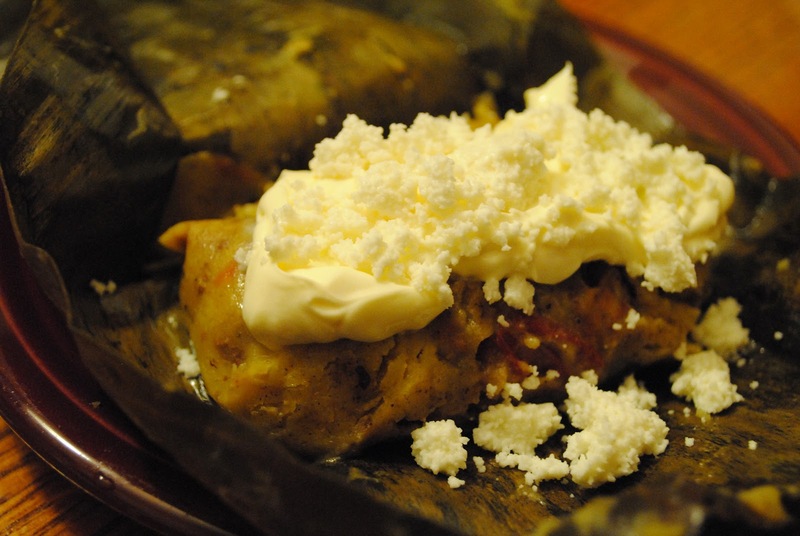 'Simple' because we are only making one thing: nacatamales. 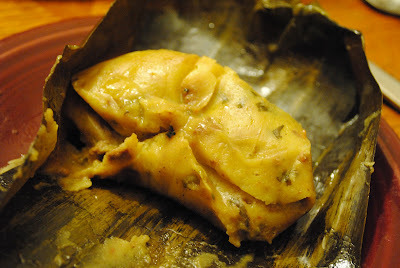 Nacatamales are traditionally served at Christmas time, but I loved that they are steamed in banana leaves instead of corn husks. So, off we went to the Mexican market for banana leaves and Salvadorean cream. And, because we are short on time, I made some adaptations that included cooking the meat before stuffing the nacatamales. I also skipped the lard. 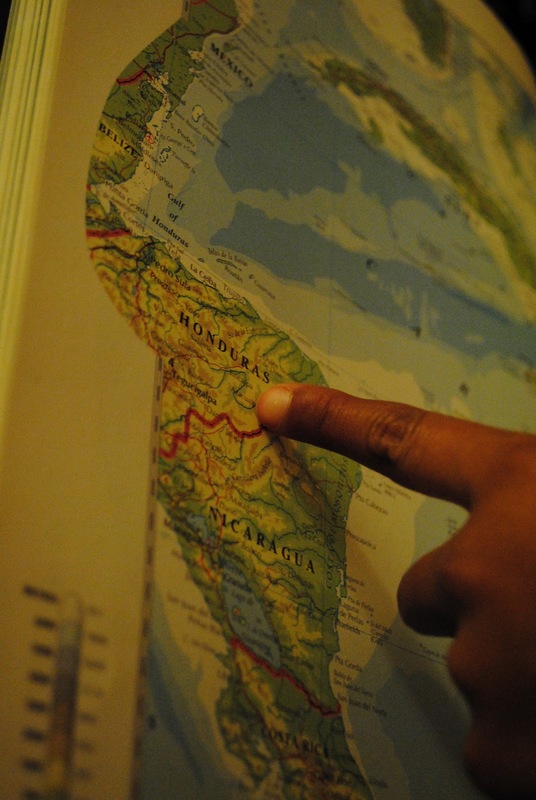 A bit about Honduras...at times, this Central American country has been referred to as 'Spanish Honduras' to differentiate it from 'British Honduras' which is now the country of Belize. Mix all of the ingredients together in a bowl and stir till it comes together into a ball. Cover and let rest for 30 minutes. Traditionally the meat is marinated but mixed with the masa raw. And it all gets cooked together while the nacatamales steam. I precooked the meat, used beef instead of pork, and took some liberties with my vegetable additions. In a large flat-bottom pan, brown the meat in a splash of olive oil. Add the peppers and tomatoes and cook until softened. Add the loroco flowers and cilantro. Then season to taste. Mix the meat mixture into the masa to form the stuffing. 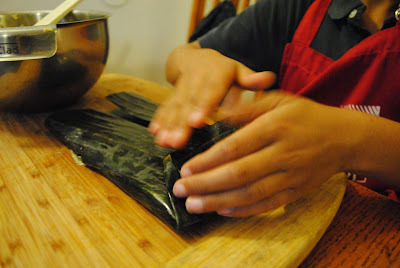 To form the nacatamales, lay a banana leaf - cut to about 6" wide and 10" long - flat and spoon 1 C of the filling into the center. Fold the edges of the banana leaf over the stuffing and roll the banana leaf to form a packet. Place the nacatamales in a large pot, suspended over water. Bring the water to a boil, then cover the pot tightly and steam for 60-70 minutes. Each diner opens the banana leaf of his or her own nacatamal before eating. 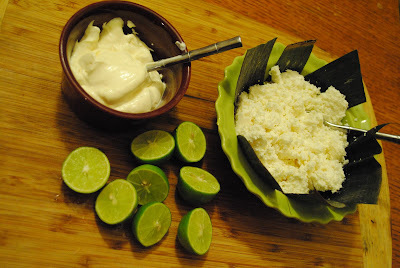 We served this with some Salvadorean cream and crumbled queso fresco. And, now, we are signing off on the Hs. We'll be venturing next to Iceland. One last note. This dinner was met with chants of "red book, red book, red book." Before I started blogging, I had a red book into which I jotted our family favorites. 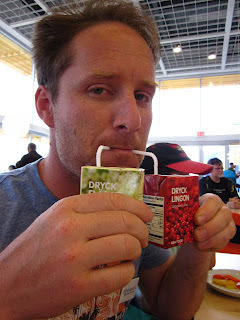 My boys, tall and small, have requested that I make a red book designation on my blog so that they can go back and search 'red book' to remind them of their favorite dishes. "Shouldn't YOU challenge yourself, Mom?"